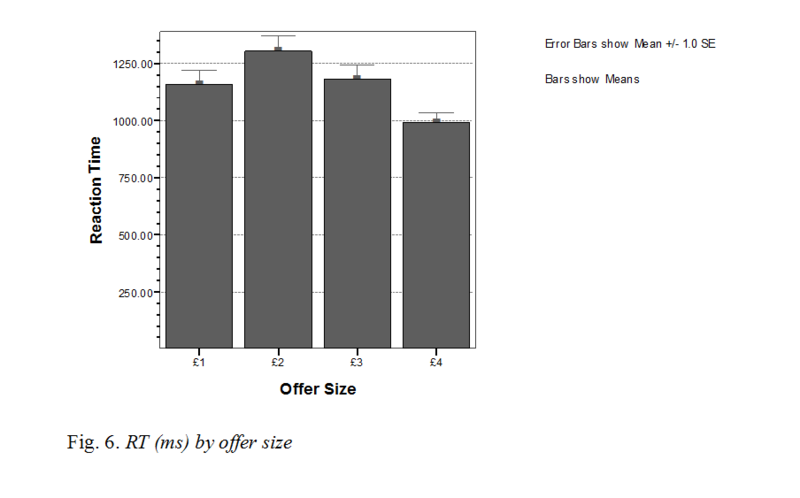 Reading: Fairness or anger in ultimatum game rejections? BSc (International, Honours) Philosophy & Psychology - University of Leeds (with a year at York, Toronto). I am about to start as a Teacher of Psychology at A-level at a school outside Cambridge. I intend to apply for a PhD and funding in psychology of education within two years. 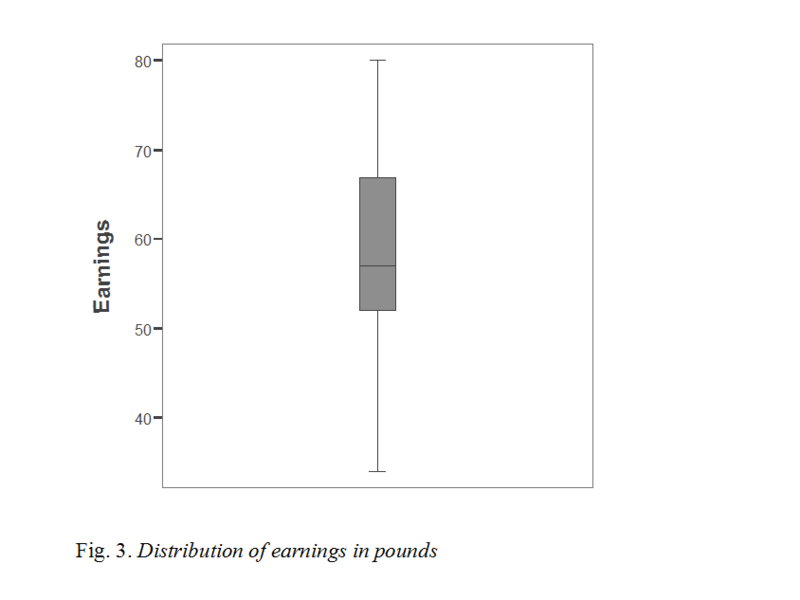 Guth, Schmittberger and Schwarze’s (1982) ultimatum game result is replicated with mean earnings of £59.98 (N = 51) S.D. = £11.45, from a possible £80, and a linear relationship between offer size and acceptance rate. 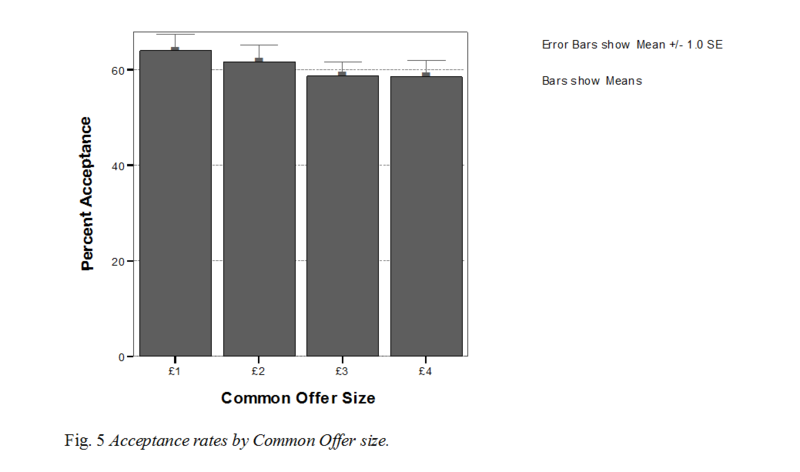 Results indicate a significant interaction effect between offer size and response, F(3, 31) = 3.69, p < 0.05 on response time. Our novel adjustment introduced the proposer’s most ‘common offer’ to responders. 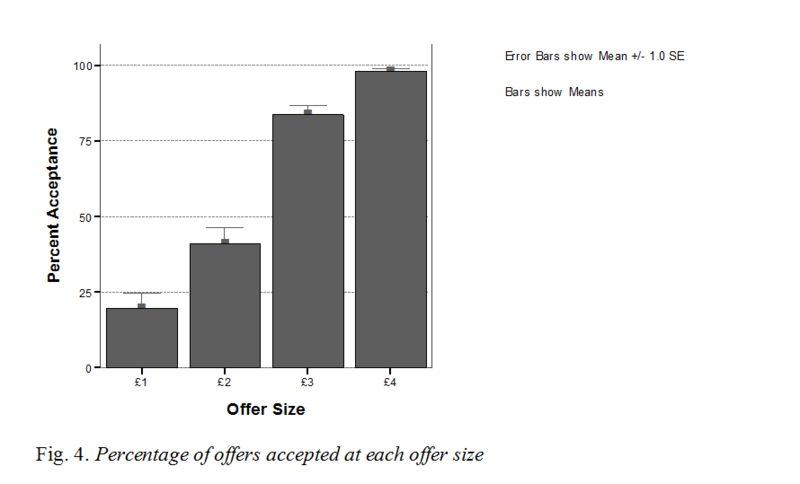 Results were in accord with prior work (Knez & Camerer, 1995); social comparisons between the participant, and a hypothesised responder – the receiver of the ‘common offer’ – were made only at mid-range offers (£2), for which low common offers were accepted more from proposers making low common offers than high t(45) = 3.28, p< 0.05. Brañas-Garza, P., Le&acuteo;n-Mej&acutei;a, A. 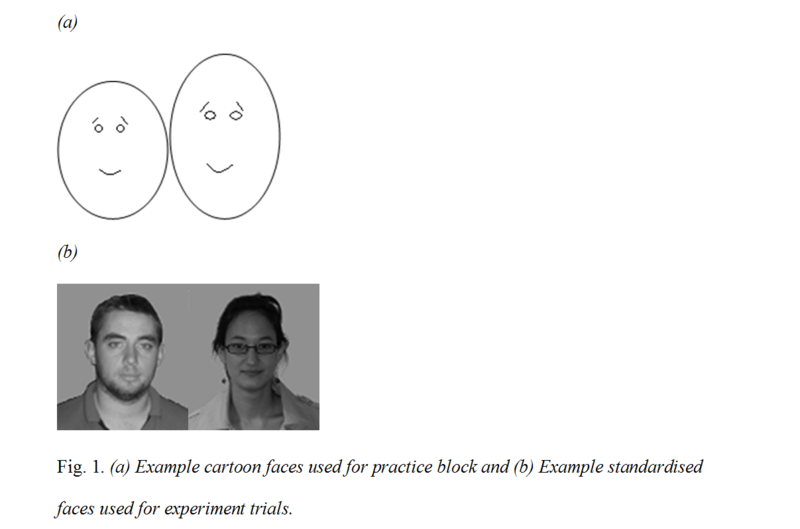 & Miller, L. (2007). Response Time under Monetary Incentives: The Ultimatum Game. Jena Economic Research Papers, 70.